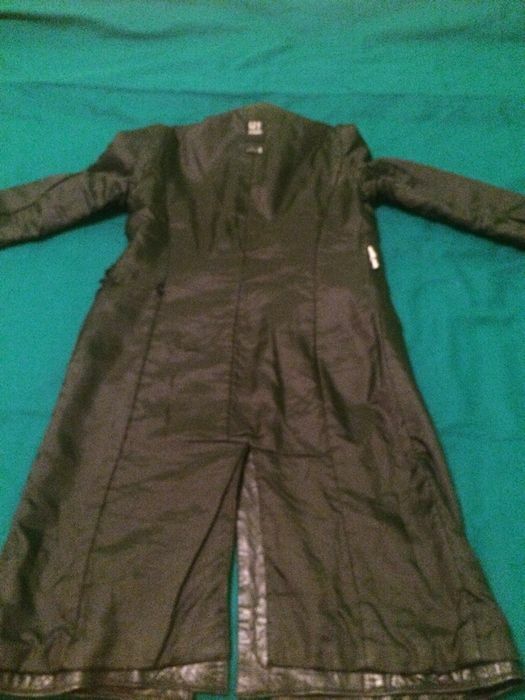 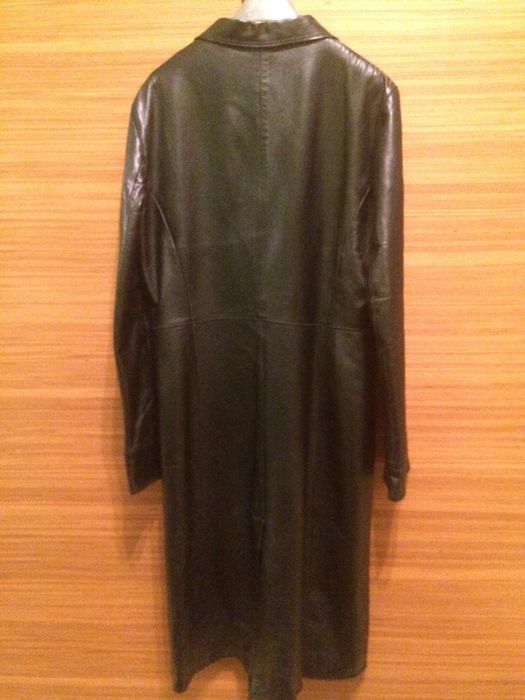 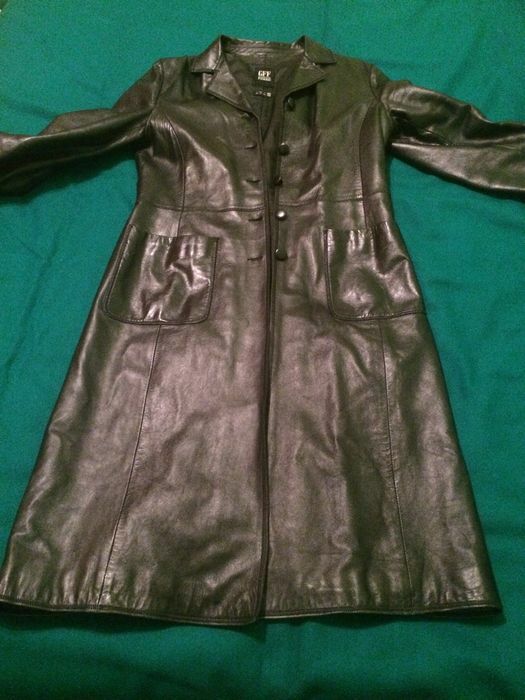 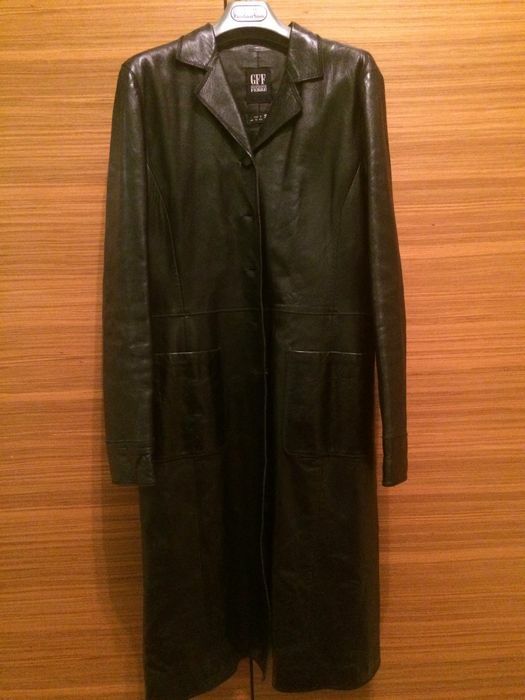 Trench made of very soft leather with slit at the back. 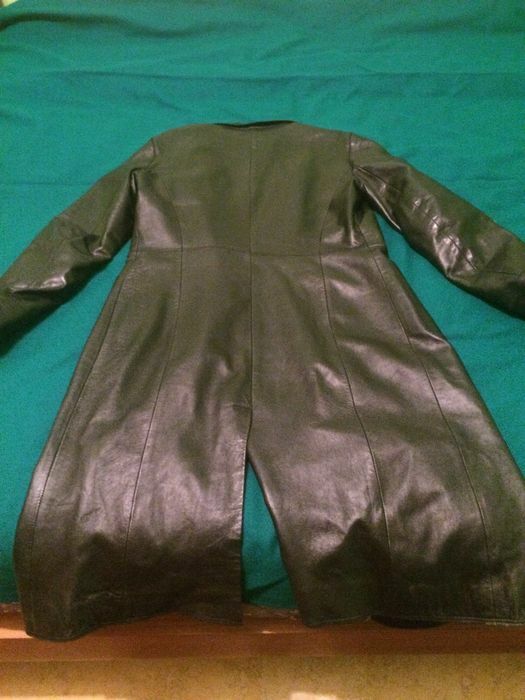 Comes to below the knees. 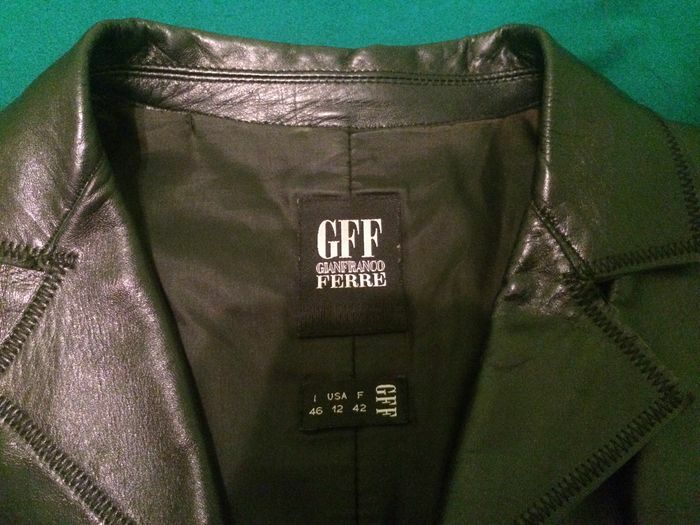 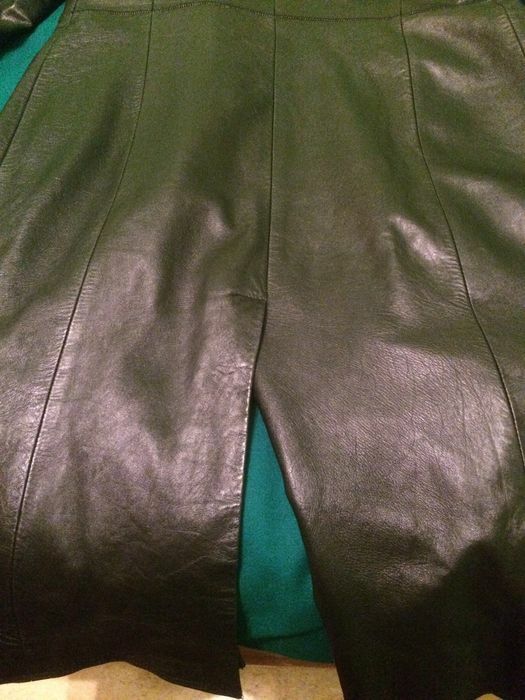 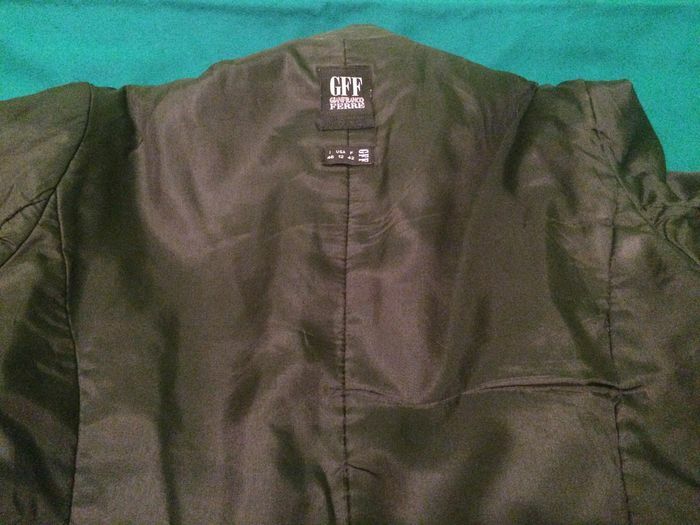 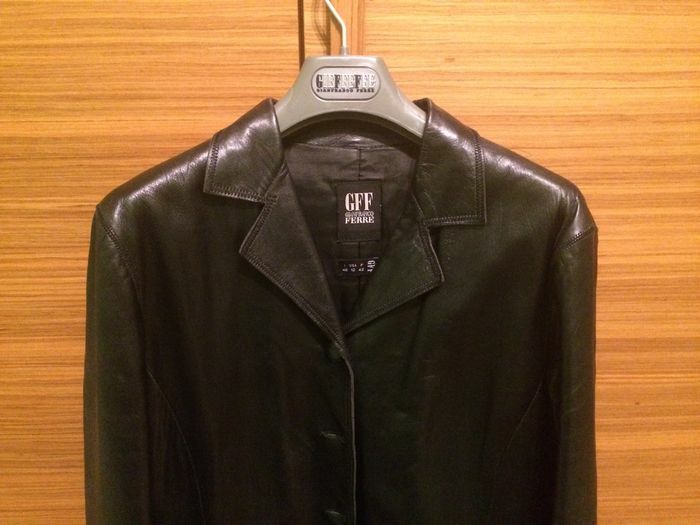 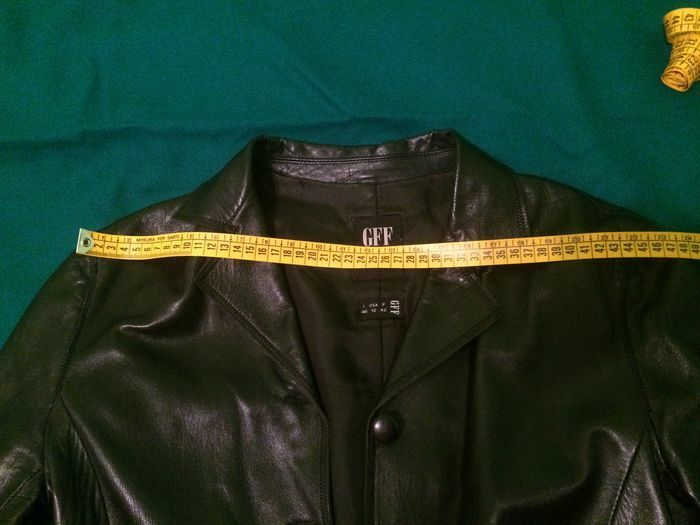 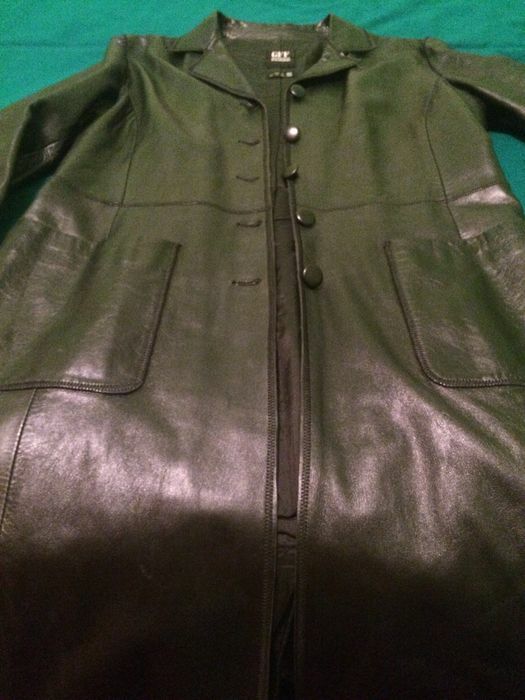 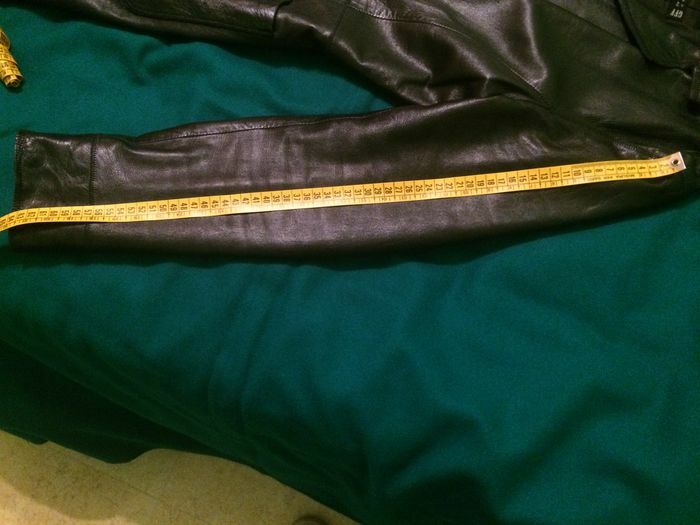 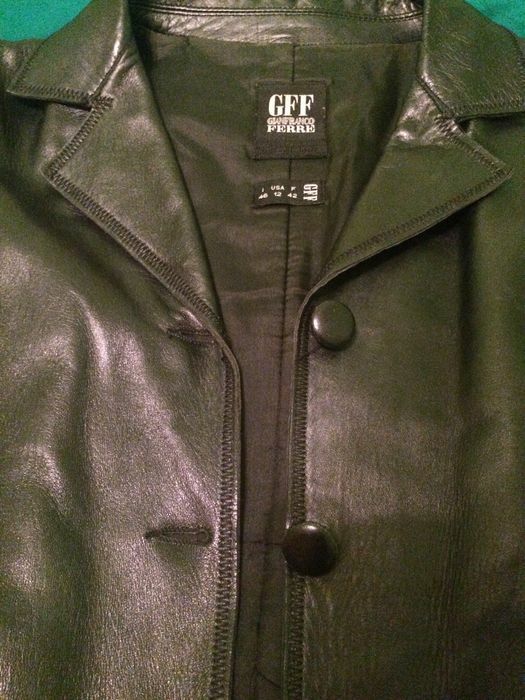 Leather in perfect condition, with no signs of wear or scuffs. 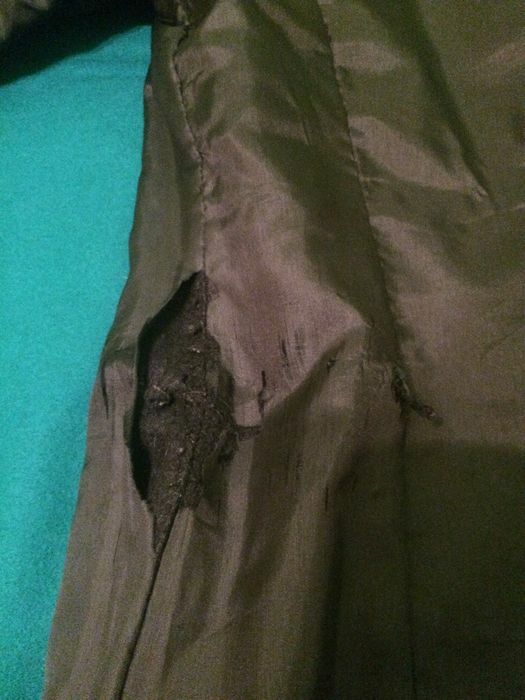 Internal lining with tear on the left side, as shown in the photos. 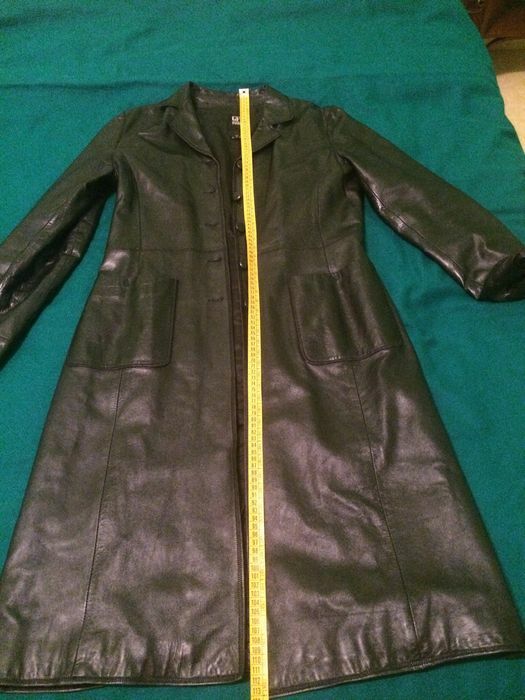 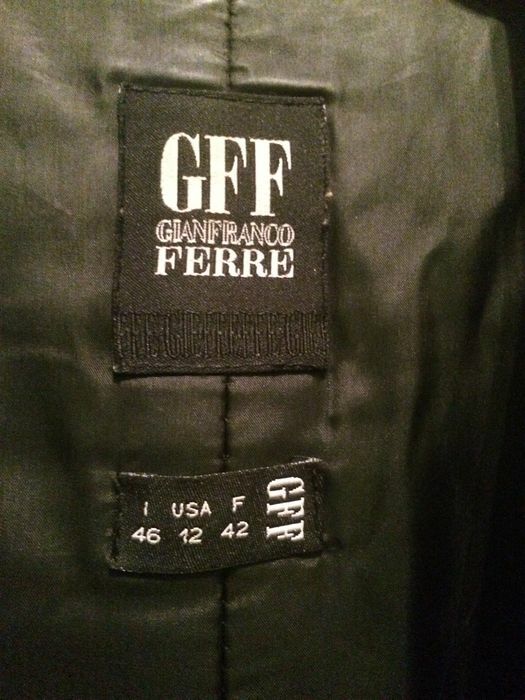 Italian size 46, but it fits smaller sizes because it is a close-fitting style.